On August 15, 2018, Al-Sahab, the media arm of Al-Qaeda, released a video featuring Al-Qaeda official Hussam 'Abd Al-Ra'uf calling on jihadi groups to remain steadfast and unite their ranks and urging Muslims to take to the streets to remove "oppressive regimes." On August 14, 2018, Pakistan's Independence Day, spokesman of Al-Qaeda in the Indian Subcontinent (AQIS) Ustad Usama Mahmood released a 26-minute audio statement on a jihadi Telegram channel. The statement was titled: "Pakistan Is Ours." It is not clear whether the statement had been released previously. On August 10, 2018, an explosive device was detonated near a vehicle belonging to security forces on duty at a festival in the town of Al-Fuheis, Jordan, 20 kilometers northwest of the capital, Amman. One member of the force was killed and six others were injured. The announcement from the Jordanian Interior Ministry stated that the explosion was caused by an IED. On August 11, 2018, on its Facebook account, a Gaza-based jihadi group published an infographic poster about the 107 mm Grad rocket, with a request for donations to enable it to purchase more of them. On August 11, 2018, Al-Sahab, the media arm of Al-Qaeda, released an audio recording featuring the group's leader Ayman Al-Zawahiri commemorating Maulana Fazlullah, the leader of the Pakistani Taliban who was killed in an airstrike in Afghanistan. On August 13, 2018, the French-speaking, Al-Qaeda aligned jihadi group in Syria Firqat Al-Ghuraba released a statement confirming rumors that its emir, Omar Diaby aka Omar Omsen, had been arrested by Hay'at Tahrir Al-Sham (HTS) security forces. AQAP Media Outlet Republishes Article By Sulayman Abu Ghaith Explaining Rationale For Al-Qaeda's War On The U.S.
On August 15, 2018, the Al-Badr Media Foundation, associated with Al-Qaeda in the Arabian Peninsula (AQAP), the first part of a three-part article from 2002 titled "Why We Fight America", by former Al-Qaeda spokesman Sulayman Abu Ghaith, who is currently imprisoned in the U.S.
On August 13, 2018, Junud Al-Sham, a pro-Al-Qaeda jihadi group based in Syria, released a video showing dozens of fighters learning battle tactics and practicing using various weapons including rifles, grenades, RPGs, and mortars. On August 15, 2018, the Hay'at Tahrir Al-Sham (HTS) Ebaa Agency media outlet published a video showing the conclusion of a training course for fighters from the Jabal Al-Zawiya Army, which is subordinate to HTS. On August 9, 2018, the Islamic State (ISIS) published Issue 143 of its weekly newspaper Al-Naba', which includes an article urging the groups' fighters to remain steadfast, stressing their resilience and defiance, and downplaying the achievements of the coalition fighting against it. On August 11, 2018, the media office of the Islamic State (ISIS) in Khorasan released a video featuring elderly people and disabled men who had joined the group urging young Muslim men to leave the "abode of unbelief" and travel to the "abode of Islam." On August 14, 2018, the Islamic State (ISIS) released several photos showing its fighters in Al-Anbar province, Iraq, carrying out normal daily activities. On August 15, 2018, the Islamic State (ISIS) Amaq news agency reported that the previous day the group had perpetrated an attack at a Shi'ite center in the city of Kabul. On August 15, 2018, a pro-Islamic State (ISIS) media outlet published several items on Telegram in the framework of its ongoing campaign against defectors, smugglers, and spies. On August 14, 2018, the official Islamic State (ISIS) Telegram channel Nashir News claimed responsibility for an IED attack which killed a number of U.S. troops in Afghanistan's Nangarhar province on August 12, 2018. On August 14, 2018, the pro-Islamic State (ISIS) media outlet Al-Saqri Foundation for Military Sciences published a guide to producing homemade C4 plastic explosives titled "The Way To Manufacture C4 Material." On August 10, 2018, a pro-Islamic State (ISIS) Telegram channel published a crudely designed poster depicting Telegram founder and CEO Pavel Durov as a kneeling captive about to be beheaded. A poster circulated August 15, 2018, by the pro-ISIS Al-Taqwa Media Foundation shows an ISIS fighter looking at the ruins of the Palace of Westminster, which houses British parliament, and Elizabeth Tower. On August 11, 2018, a graphic designer based in Syria who is active on Telegram published a poster in support of a campaign led by an organization dedicated to fundraising for jihadi fighters in Syria. 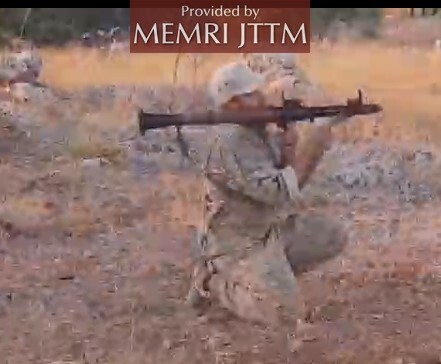 On August 16, 2018, a Telegram channel affiliated with German-speaking Al-Qaeda elements in Syria posted an 18-second clip from a video created by the Malhama Tactical jihadi training group active in Syria. On August 11, 2018, the Islamic Emirate of Afghanistan (the Taliban organization) published on its English-language website an announcement from Muhammad Sohail Shaheen, spokesman of the Taliban's Qatar-based Political Office, saying that leaders from the Political Office held talks with Uzbekistan on August 6-10, 2018. On August 11, 2018, the Islamic Emirate of Afghanistan (the Taliban organization) released a statement saying it had driven the Islamic State (ISIS) out of several provinces of Afghanistan. It also accused ISIS of trying "to ingrain an alien ideology and rule over our believing mujahid nation through fear and threats of slaughter." On August 15, 2018, the Islamic Emirate of Afghanistan (the Afghan Taliban organization) issued a statement announcing that it had withdrawn the security commitment it had given to the Red Cross to operate in the areas under Taliban control in Afghanistan.